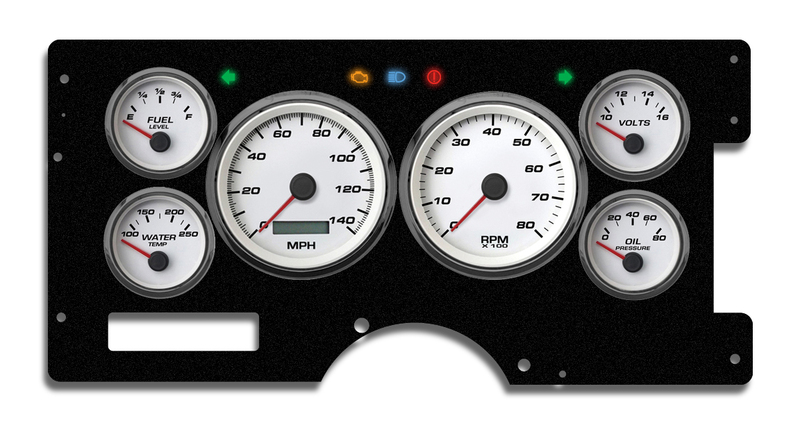 NVU gauge packages for 88-94 full size trucks bring some class to the dash! 6 gauges packed into an NVU exclusive CNC laminate printed cluster bracket with turn signals and indicators. Installs in the factory location and can incorporate the stock shift indicator (PRNDL). Installs using the OE cluster visor for a clean, professional looking installation. 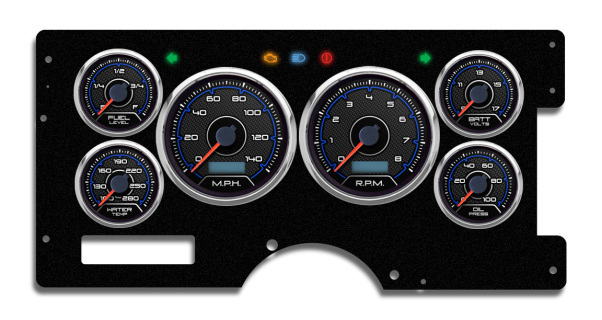 Included 0-90 (factory match) fuel gauge. Gauges can be repositioned to your liking and must be wired up by splicing into harness as in most aftermarket installations (not plug-and-play) Programmable speedometers can operate on stock VSS (speed sender) or PCM output; Tachometers can read from HEI, any coil or PCM output.